#MondayAfterSXSWinDALLAS - 422 Registered DJ's as of 1/31/19. All roads lead to Dallas after SXSW! All In One Buliding....DJ's, Recording Artists, Live Bands, Producers, Labels, Record Companies, Graphic Designers, Street Teams, Photographers, Bloggers, Social Media Managers, A&R's, Videographers, Recording Studios, Promotion Companies & More. 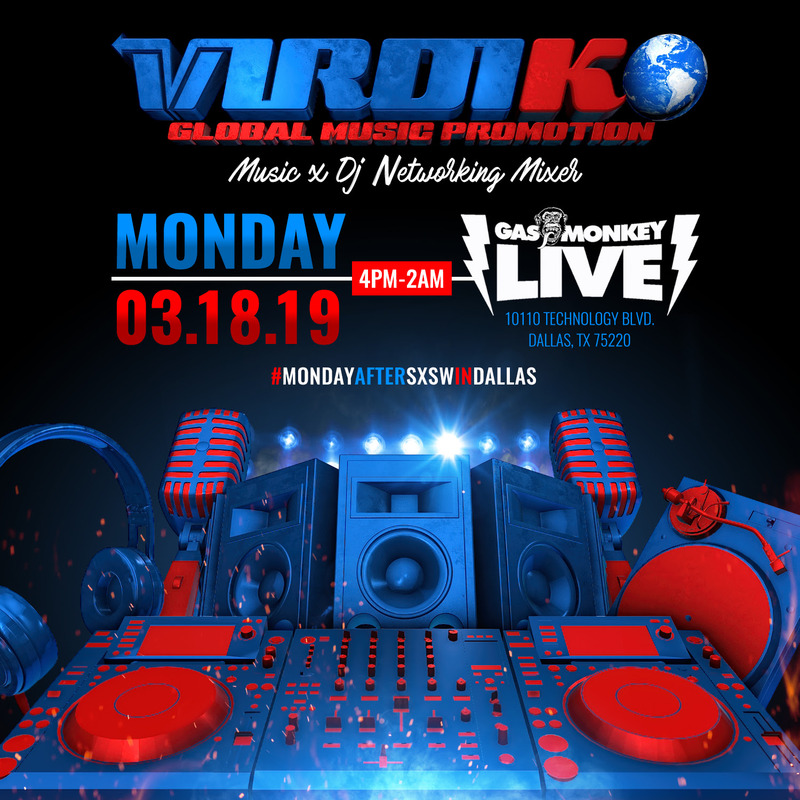 The #BigOne >> VirDiKO >> Monday, March 18th, 2019 >> 7th Annual VirDiKO Music & DJ Networking Mixer >> Monday After SXSW in Dallas, TX USA at Gas Monkey Live. Networking Starts @ 4pm. Stay Tuned For Special Announcements & Performances.